One of the best things about living in London is that you are never short of finding something to do. And one of my favourite things to explore is the ever-changing landscape of bars in London. 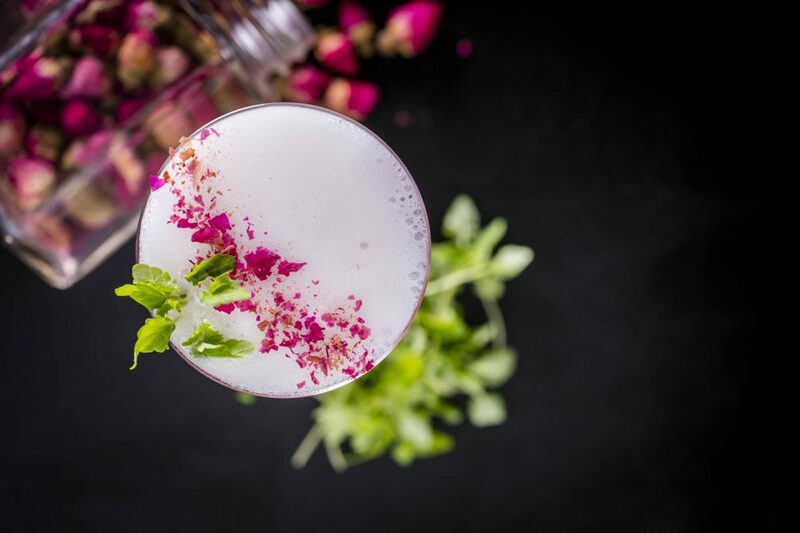 So I wanted to share my list of the best cocktail bars in London right now. As I’m sitting and writing this post, I’m looking out at a gloomy London. The last few days have seen unpredictable weather, from 30 degree summer heat to flash hail storms. We’ve also seen some beautiful lighting storms, but it’s definitely got me wishing for warmer weather – perfect for enjoying a cocktail or two. Hidden away in the middle of China Town, this secret speak-easy themed gem of a bar promises a delightful selection of cocktails. I only just discovered this bar for the first time the other day, after hearing about it so much, however never finding it – it’s that hidden! Of course, it’s exclusivity is part of the charm. When you finally pluck up the courage to go through the unmarked door, it may seem like you are walking up to your death. 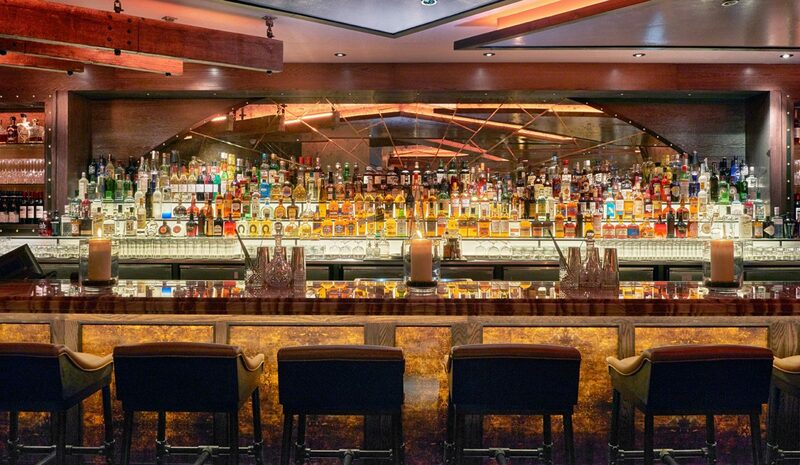 But you’ll be pleasantly surprised as you find a beautiful art-deco meets pearl of the orient themed bar. I recommend the ‘Tropic Thunder’, a very refreshing rum cocktail reminiscent of an amaretto sour. A personal favourite, I’ve been going to this venue since it was a salsa bar! 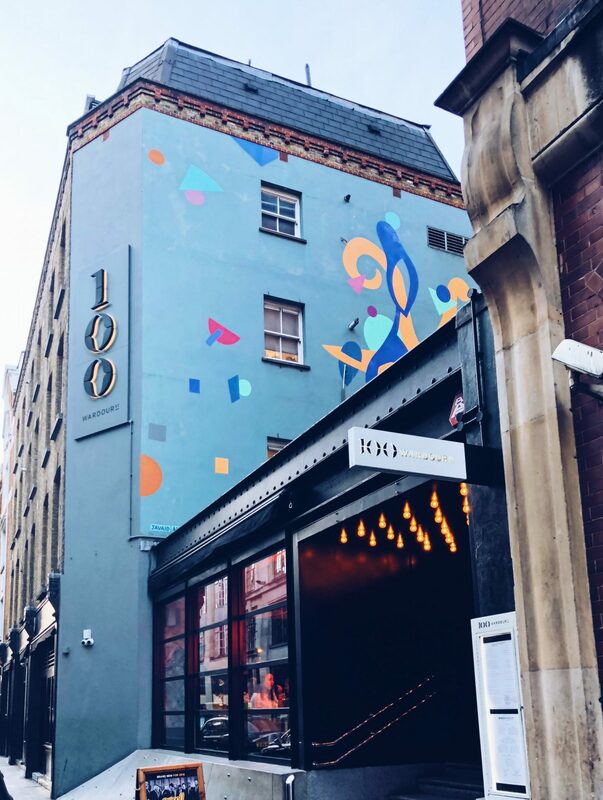 The venue is now home to 100 Wardour Street which is a sleek and stylish bar and restaurant. The bar area is on the first floor, which has a range of different types of spaces. From the airy light-filled space at the front, to the more intimate tables in the rear. Their current range of cocktails are eclectic and so much fun! If you enjoy a bit of theatrics in your cocktail, then this is the place for you. The new menu is grouped into fun and unique themes such as; It’s Tiki Time, Back To The Future and Disco Fever. Their ‘Navy Swizzle’ is one of the tastiest rum cocktails I have ever had, and it comes with a bit of fiery kick! The venue is very spacious, and has a great restaurant on the lower floor. All in all it’s great for groups or parties and I regularly come here with the girls to enjoy a drink or two before dinner. Another secret speak-easy themed cocktail bar is Cahoots. Again hidden in plain sight, it’s theme runs through from the entrance down to the drinks menu. The first time I visited was for a work Christmas party and we had to follow the old London underground signs which direct you to the secret bar. The theme is 1940’s post-war and is a really fun evening out. The drinks menu is incredibly creative. Served in old tin mugs to hip flasks, and are also delish! This one is probably better saved for a special date night or party. Be warned that the space is underground and can be quite tight, so I recommend you book ahead for large groups. A regular haunt for me, this bar has become one of my ultimate places to go all year round. The service is always incredible and I can usually expect a good DJ or performer to entertain throughout. Not to mention that the cocktails are always wonderful! They have seasonal menus and always align their cocktails to the weather. For example in winter they do beautiful warm cocktails and drinks, including a great mulled cider! 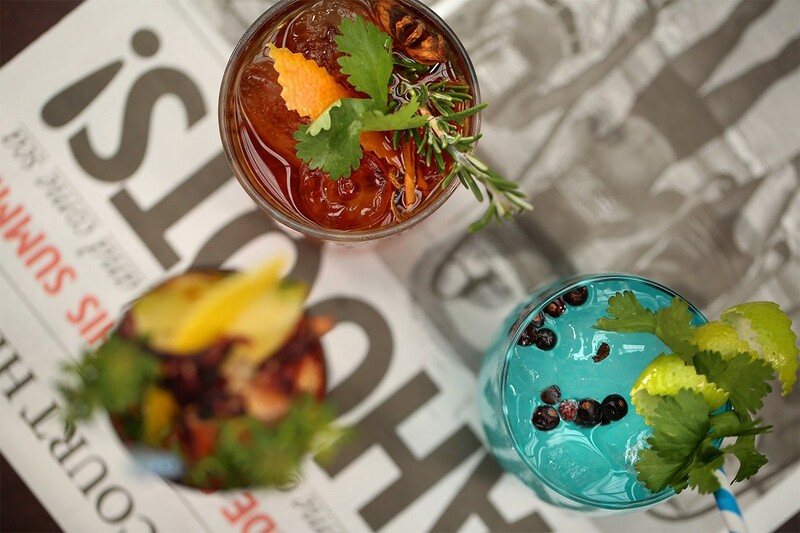 In the summer, you can expect to find some refreshing twists on classic cocktails like City Garden and Hummingbird – both of which I highly recommend! But one priceless reason to check out their venue has to be their incredible view! No matter whether it’s day or night, winter or summer. It makes for a very picturesque backdrop as you enjoy a beautiful cocktail to match. There is a long list of bars and pubs in Shoreditch that I could recommend, but one of my favourite places has to be Callooh Callay. It’s quirky and fun and the cocktails are always inventive and tasty. The venue is perfect for a few drinks to catch up with the girls or for an easy date night with Bae. The last time I went, I had the best amaretto sour! I absolutely love amaretto sours, but not a lot of people know the right way to make it (or are just too lazy to do it right). But this one was amazing!! 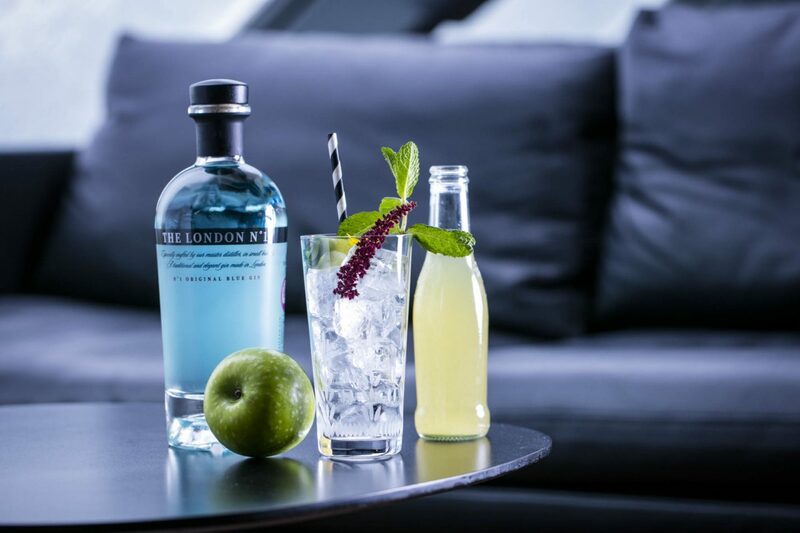 Have you been to any of these cocktail bars in London? Have any you think I should add to the list?